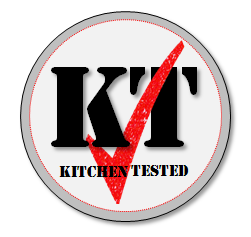 Just in time for its one-year-anniversary, Kitchen Tested is getting a face-lift and you are all invited to check it out! Since KT is now a self-hosted WordPress blog, I hope that all of my WordPress.com followers will take a moment to subscribe by email. 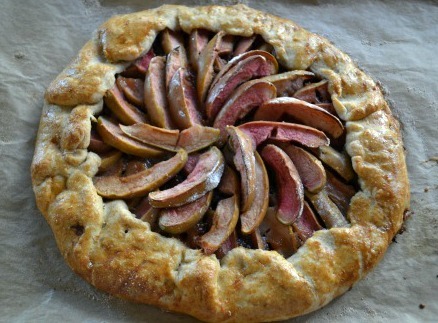 Check out the new and improved Kitchen-Tested.com. If you’re wondering why I chose to make such big changes to KT, just email me at kitchentested@gmail.com and I’ll be happy to answer any of your questions. Shout out to Dani from SocialCity Marketing for helping to improve the look and functionality of Kitchen Tested. If you would like to make some changes and updates to your own site, you can contact Dani by email at dani@socialcitymarketing.com. He is fantastic! First of all, welcome to all my new followers and subscribers! I’m thankful for a lot of things in my life (like my husband and kids) but right now, I want to give a big thanks to WordPress.com for featuring Kitchen Tested on Freshly Pressed! I was truly honored to be “FP”- First Page. If you haven’t voted for Kitchen Tested in the Kosher Food Blog Awards, you have until January 11. Just click here! Welcome to Kitchen Tested, a website devoted to cooking original, experimental and adventurous recipes and making them accessible for your own kitchen. And everything is kosher! If you Like Kitchen Tested – Take A Minute & Vote Here!! Recipe Index Select Category Articles Bread Breakfast Candy Condiments Contest Dessert Diet Dinner Feature Friday Feeling Snacky Fruit Holiday Hors D’oeuvres Leftovers Lunch Noodles Savory Seen On TV Sweet Uncategorized Weight Watchers What Was I Thinking?